The name Copacabana is of Bolivian origin. Historians trace it to a 17th-century image of Our Virgin Lady of Copacabana, brought by the Portuguese from around the Lake Titicaca and installed in a chapel that would later be demolished for the construction of Forte de Copacabana. 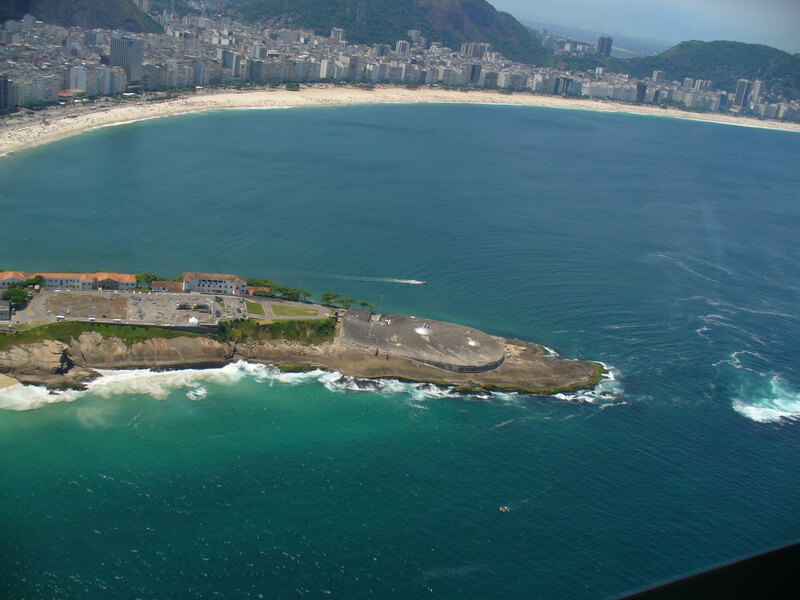 Until the late 19th century, Copacabana was considered to be too remote from the city. The sand beyond the beaches and the dunes were covered with shrubs—not unlike Barra in the 1960s. The area started expanding when the Tunnel Velho connected Copacabana to Botafogo and Downtown. Today, Copacabana is perhaps Rio’s most eclectic and lively neighborhood. Some of the Rio penthouses and apartments along the beach are easily worth more than a million dollars. But there are also buildings with as many as thirty tiny studio apartments on the same floor and no parking garage. 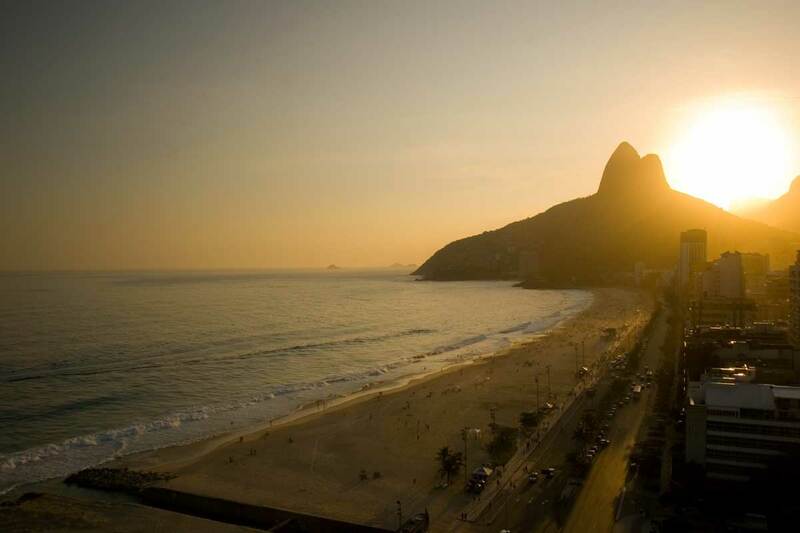 Our Rio apartments are located in the best buildings in Copacabana, close to the beach. A lot of foreigners offer their apartments in Rio for for 9 to 11 months a year. Most of Rio’s hotels are clustered in Copacabana. Here, you can find a hotel at any price rate. Copacabana Palace, Le Meridien, and Marriott are just some of the exquisite places to check-in for those who are looking for luxury. Most of the hotels in very toll buildings (Le Meridien, Pestana, Othon Palace, to name a few) have sky-restaurants, and that provides the unique opportunity to savor an incredible ocean view. You do not need to be a guest of a hotel to get in these restaurants. Dressing up is recommended. 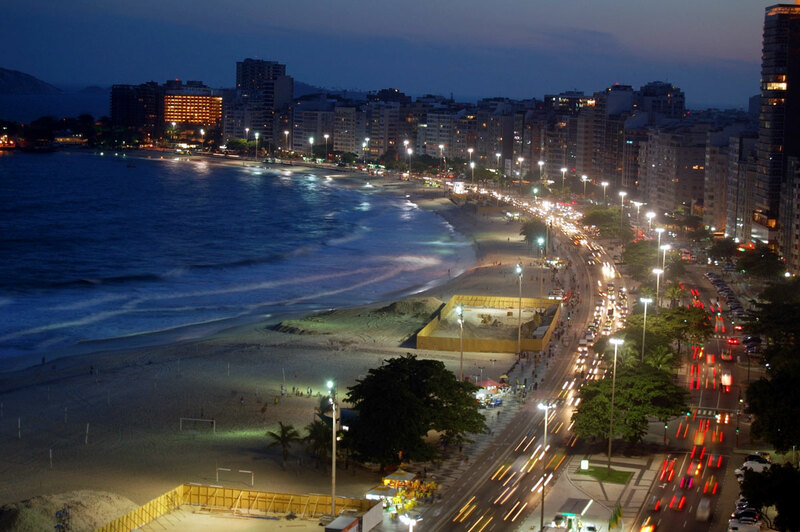 Like almost all neighborhoods in the Southern part of Rio, Copacabana is considered safe and pedestrian-friendly. It is perfectly suitable for walking tours, as it is basically flat and distances are relatively small. Copacabana has a little bit of everything and many things in excess; so, everyone can find their own paradise of vacation there. Copacabana also offers plenty of red-light-district entertainment. However, you do not need to worry if you would like to stay in this neighborhood without being interested in such entertainment. There is plenty of shopping and culture during the day, and at night, you may make a choice among a number of restaurants spread outdoors, small bars in side streets, or ocean-view restaurants to wrap up a perfect day of your vacation. Food is always delicious. 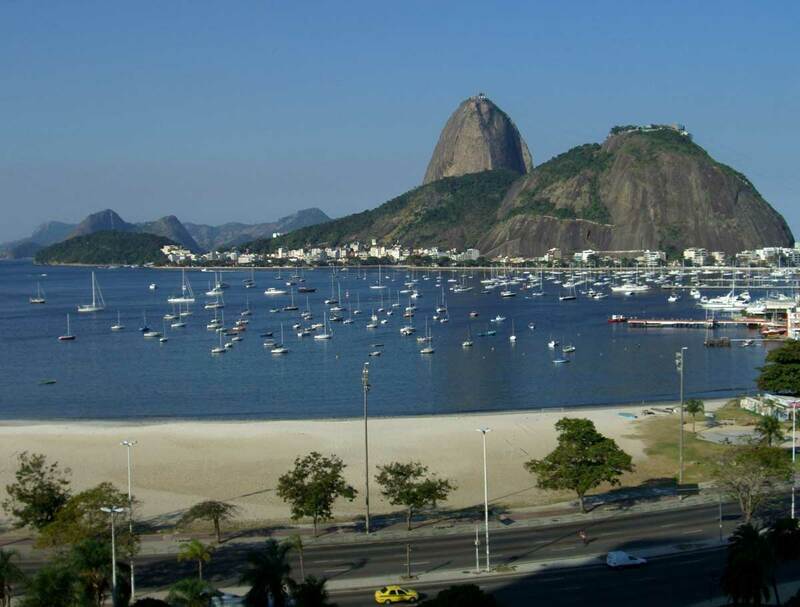 This is the most famous beach in the world, which allows a direct view to the Sugar Loaf. Very popular for the locals and the tourists, the Copacabana beach is always crowded on sunny days. During the summer, international championships of beach soccer, volleyball and other sports are promoted in areas along the beach. Some of the major hotels offer complimentary beach umbrellas and beach chairs for their guests. If you are not a guest of one of those hotels, you can easily get anything you need at a low price. Cold drinks, ice cream and water are also available everywhere. The crowd is very mixed - tourists from all over the world and also many Brazilians. You will see plenty of people playing soccer, volleyball or hacky-sack at the back part along the beach. As a tourist you are always welcome to join them! Just ask. You should not take much cash or any jewelry to the beach; leave it in your room. 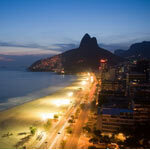 Ipanema is located between Lagoa and the Ocean, and it is an area where it is very easy to find your way around. The name of this beautiful part of town comes from the native population’s dialect—it means bad water in Brazilian Indian—and it is not clear why it has been called that way. The first dwellers started arriving in the late 19th century. The neighborhood began to grow faster after a streetcar line connected Ipanema to Copacabana in 1902. 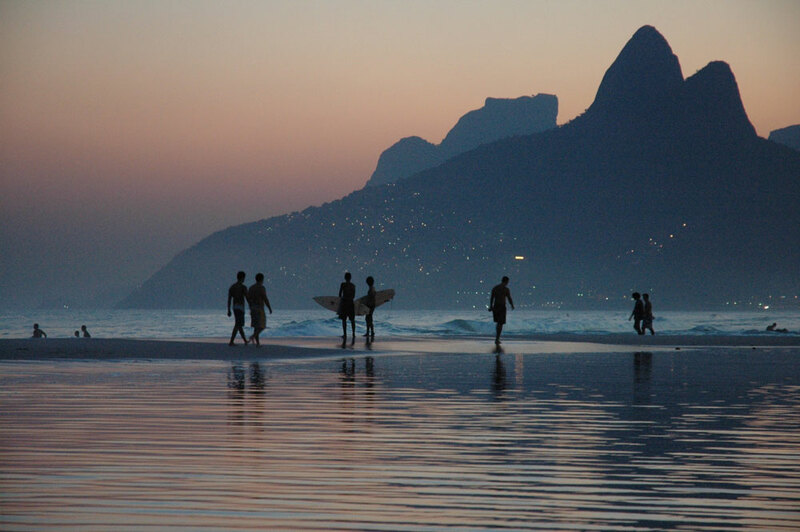 Ipanema is a fine blend of the best Rio de Janeiro has to offer: a legendary beach, restaurants to write home about, the most sophisticated shopping in the city, excellent hotels in all price ranges, and bustling nightlife. It also is one of the most coveted areas to reside in, because of both its beauty and safety, thus it is significantly pricier than others. While most of Ipanema features a mix of residential and commercial buildings, several streets running parallel to the beach are purely residential. 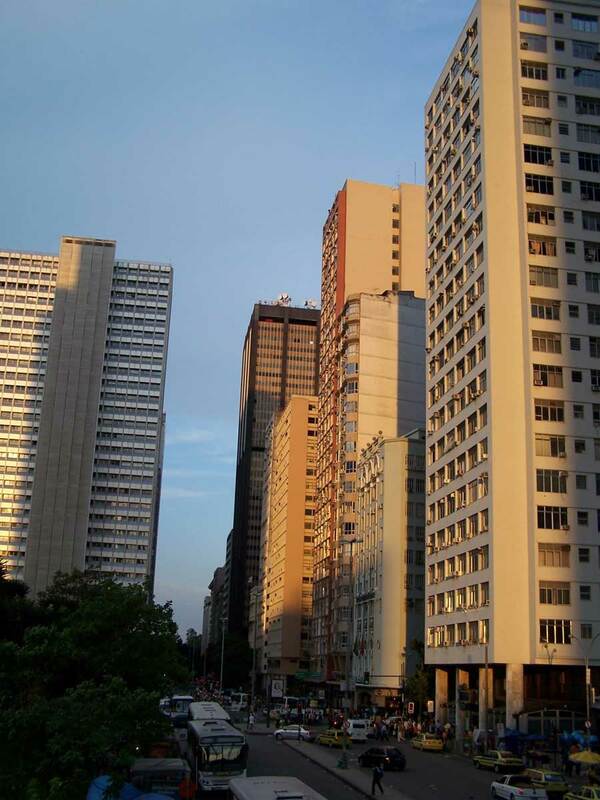 Barão de Jaguaribe, Nascimento Silva, and Redentor are good examples: they are lined up by a number of four-story buildings and many single-family houses. Ipanema plays an important cultural role for the city. Major art galleries, two universities, many high schools, theaters, movie theaters, and cyber-cafés abound here. Resting in a cozy café inside a bookshop or clothing store, and running into a juice bar on every corner belongs to Ipanema’s charm. Ipanema also is a bustling shopping neighborhood. There are no mammoth malls here, but Rua Visconde de Pirajá is lined up with two- or three-stories commercial buildings where you could find any shops, beauty salons, and snack bars. Forum and Ipanema 2000 are among the most sophisticated. The upper floors are taken by private practices, offices, and many fashion wholesalers. There, you can find clothing very much like what the fashion boutiques on the street level have on display—for half the price but without the prestigious label. One of the two best hotels in Rio, César Palace, is located on the beach strip of Ipanema. Its sky-restaurant offers you the unique opportunity to have breakfast in front of the rising sun or to lunch and dine overlooking the ocean. You do not need to be a guest of the hotel to come in here. It is an up-scale restaurant and appropriate attire is recommended. Leblon shares the same beach with Ipanema, just like Leme and Copacabana. The border between the two goes along a shallow canal, which connects the lake Lagoa with the ocean, and a park known as Jardim de Ala (Allah's Gardens). 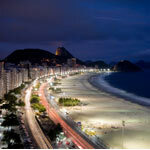 Leblon is one of the uppermost areas to stay or reside in Rio. Schools, movie theaters and theaters, nightclubs, concert halls, and some of Rio's best restaurants and bars are among its best attractions. The area next to Gavea (Alto Leblon) is almost exclusively residential. This hilly area on the West side of Leblon is a favorite spot for Rio's rich and famous. There are many houses, mansions, and posh apartments starting on the left lane of Avenida Visconde de Albuquerque and going uphill. Some of the streets are still cobblestone paved. The area next to Ipanema (Baixo Leblon) is a bohemian style neighborhood that ruled the nightlife in the 1970s and 1980s. A stop for a pizza or beer is almost mandatory after a night of fun—some restaurants and bars remain open until past 4 a.m. 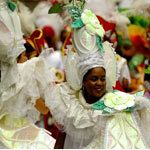 This area takes off at Cazuza Square and includes the streets Dias Ferreira and the beginning of Ataulfo de Paiva. Though landmark nightspots like Real Astoria and Diagonal are no longer around, it is still a good bet for after-hours. The area surrounding Clipper, a bar further along the main street, Ataulfo de Paiva, is also very popular. It has lately become a meeting spot where the young celebrate major soccer games. Ataulfo de Paiva, was recently renovated through project Rio Cidade. Like in Ipanema, the streetlights, signs, and even public phones got a unique look. Many corners gained charming wooden seats. Stop and sit for a while to watch the pedestrians passing by, and maybe you will understand why Carioca have a permanent love affair with Leblon. The second most famous beach in Rio. Its beauty, and the view of the famous rock "The Two Brothers" attract many visitors. Here, the Brazilians are in the majority, with fewer tourists than on the Copacabana beach. There is much more to do at the beach than just working on your tan. The sports activities on the Ipanema/Leblon beach are no less than on the other beaches. Join the locals! Many Volleyball and hacky-sack tournaments take place here on the weekends. The lake was originally called by Native Brazilians Sacopenapã, meaning "way of the socó birds." 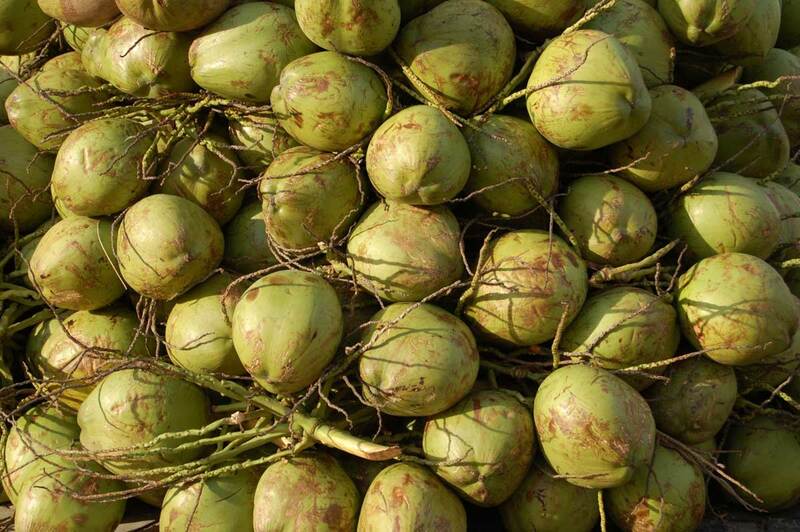 Its history dates back to the 16th century, when it was surrounded by a large sugarcane farm named Engenho d'El Rei. It was later purchased by Rodrigo de Freitas in the 17th century. A lakeshore drive and a running alley 7.5 km (4.6 mi.) long meander around Lagoa. The lake is shallow, no more than 4.3 m in depth. The city is trying to bring back the swamp wildlife to its borders, and results are beginning to show: there is plenty of fish and birds. The lake—not suitable for swimming—is linked to the Atlantic Ocean by the Allah's Gardens Canal. Lagoa has two islands that are used as private country clubs (Caiçaras and Piraquê). Lagoa is connected to Downtown and the International Airport via the Rebouças Tunnel. São Conrado and Barra can be reached using Lagoa-Barra freeway. Traffic is quiet intense at rush hours, since Lagoa also is used as an alternative route from Ipanema to Botafogo or Downtown. There are many nice and quite restaurants around the lake, especialy at the Ipanema side, which offer not only delicious food, but also a great view over the lake at night. All gas stations around Lagoa have 24-hour convenience stores. 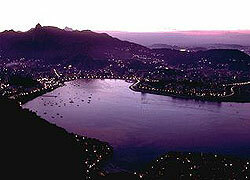 Botafogo is one of Rio's traditional neighborhoods. 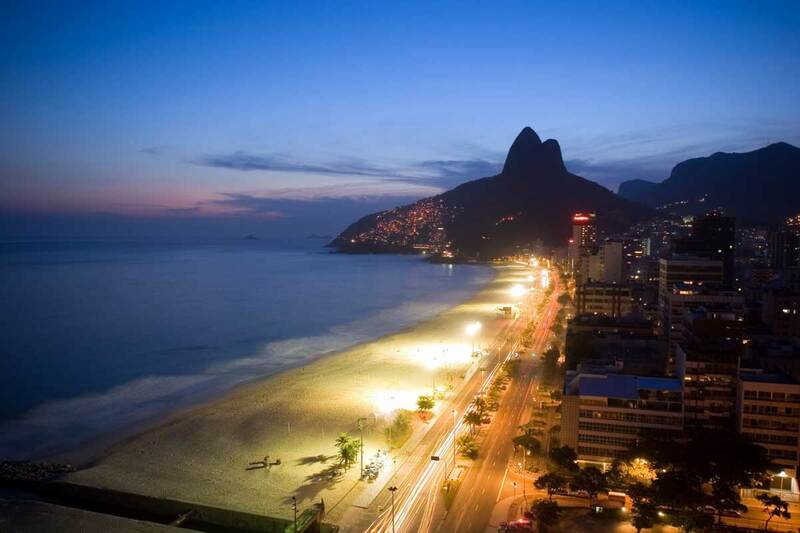 It is located between the historical Flamengo-Downtown strip and the beaches of Copacabana and Ipanema. 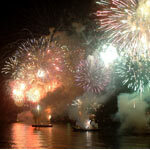 It was named after one of the first residents in the area, João Pereira de Souza Botafogo. This neighborhood became important at the end of the 19th century when the Portuguese Court came to live in Brazil. D João VI's wife, D Carlota Joaquina, lived in a country home here and bathed in the clean waters of the Guanabara Bay. Many mansions from that time are still standing, mostly transformed into private clinics, schools, and other public buildings. Botafogo’s good looks and a colorful nightlife add up to its various cultural activities: just like in Ipanema, museums, theaters, and movie theaters abound. Botafogo hosts RioSul, one of Rio's major shopping malls, located right across from Rio Off-Shopping and full of a number of outlets and discount stores. In Flamengo, you will find the highest cluster of landmarks, churches, museums, and other institutions of cultural interest on par with the downtown area and the historical districts Glória and Catete. Historians say that the first structure built in Rio de Janeiro was, actually, in Flamengo. Flamengo offers one of the prettiest views to Guanabara Bay. The heart of the neighborhood is the Flamengo Reclaim, a huge green park, designed by Brazilian garden guru Burle Marx. The park features 3,000 different species of trees planted in an area of over one million square meters. It is the home to the Museum of Modern Art and the Carmem Miranda Museum. There are also sports courts of all kinds, roller blade alleys, and bicycle lanes. these beaches, directly beneath the Sugar Loaf, are used mostly for sporting activities. Many yachts and boats are docked here, so enjoying the water is often difficult. Sao Conrado is the part of town one passes by on the way from Leblon to Barra. It is mostly known for its Fashion Mall, which offers stores of the most famous retailers like Armani, Gucci etc. It´s one of the most expensive areas to reside in, because of its serenuty. The Golf Club of Rio is also located here. The other landmarks of Sao Conrado are the high-rises and a small beautiful beach. If you prefer calm and quiet beaches, we recommend you come here. Barra is about 20-25 minutes taxi ride away from the city to the South. Compared with Ipanema or Copacabana, Barra is huge and it almost functions as an independent town. Plenty of new business centers, high-rises, shopping malls, restaurants, and movie theaters offer a perfect infrastructure and attract many residents. The real estate prices have gone up in the last few years, because many Brazilians from the upper middle class have moved to live here. Barra`s popularity is growing through the well-known fact that it is a very safe area. The beach strip at Barra is very long (18 km/11miles) and beautiful, situated further south—about 15 minutes taxi ride from town. The main visitors of the beach are Barra`s residents. There are only few tourists who frequent the place, and that strongly diminishes the number of street vendors. Soccer, volleyball and foot-volley are played everywhere on this beach. 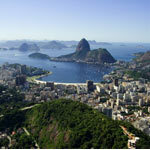 "Centro" or Downtown Rio is where Rio de Janeiro was established and started to grow in modern times. It is rich in landmark buildings, structures, and parks of historical and cultural interest. The downtown streets are extremely busy during the day. With all its museums, concert halls, churches, theaters, the financial center, docks, squares, and parks, downtown is worth visiting. The best way to reach it is by the subway (Rio Metro). Get off at Carioca Station, which is right under one of downtown’s main streets – Avenida Rio Branco. If you want to go by taxi, you need to pass the beach circuit in Botafogo/Flamengo where you can enjoy the view to the Sugar Loaf. The drive takes about 20 minutes.